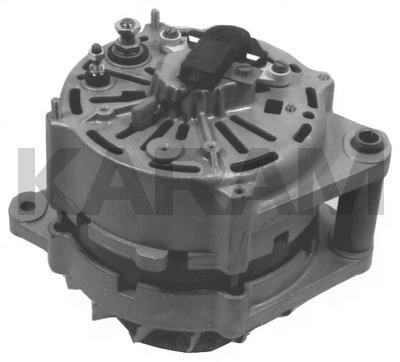 This is a Bosch Alternator Used on 1984-85 Chrysler Domestic Vehicles. Care Must Be Taken to Verify OEM Numbers Here, as This Unit Has the Regulator Mounted on the Back of the Alternator, While Similar Units Used on the Same Cars Had the Regulators in the Car's ECU. A Special Diode in the D+ Terminal Allows No Output at the Terminal While Charging. If This Diode is Bad, The Car Motor May Not Shut-Off. The 100A Version of the 14765, OEM No. 0-120-469-624, Is the 13191.